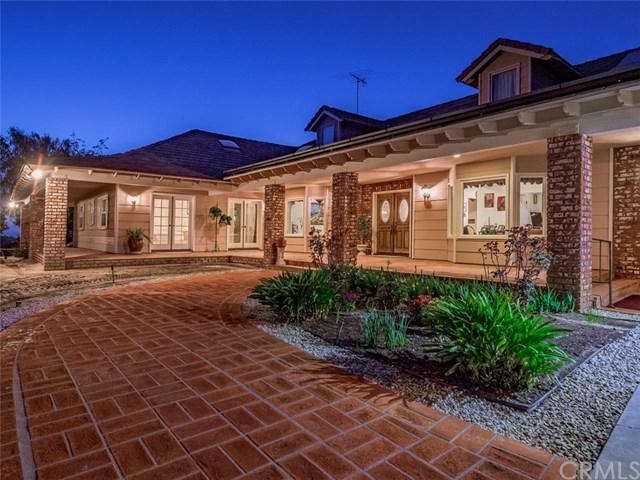 38900 Avenida Arriba, Temecula, CA 92592 (#SW19066689) :: Ardent Real Estate Group, Inc.
A wonderful country vineyard estate nestled on 2.88 acres in the Wine Country. 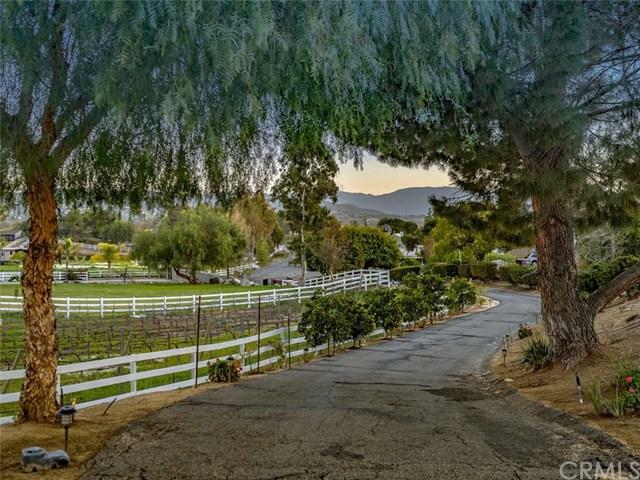 Culdesac location with Endless views of vineyards. 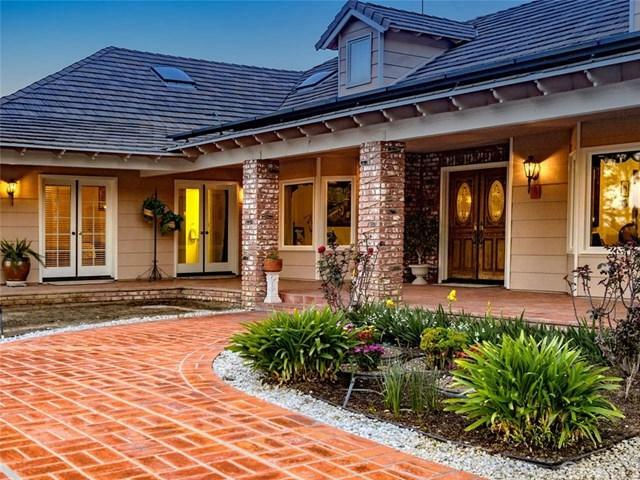 Private gated entrance with long driveway that meanders past the vineyards. A warm & inviting home boasting 3 spacious bedrooms & 3.5 baths. Wonderful double door entry leads into the formal entry way with beautiful wood flooring. Custom touches throughout w/crown molding, skylights & custom wood work. Entertain with ease in the incredible kitchen with granite counters & double ovens, induction cook top. Walk in pantry, & country darling breakfast nook. 13 ft ceiling give this home a very spacious & custom feel. Beautiful family room with custom fireplace with recirculating fan & step down wet bar. All bedrooms are spacious with French doors that lead to the entertainers back yard & incredible views. Enjoy the hot air balloons in the morning on the wrap around porch. Large master suite with fireplace & very spacious walk in closet, French doors lead to gardens. This home is all electric but is covered with the paid for solar system. Lots of storage & indoor laundry room. Zoned heating & air. 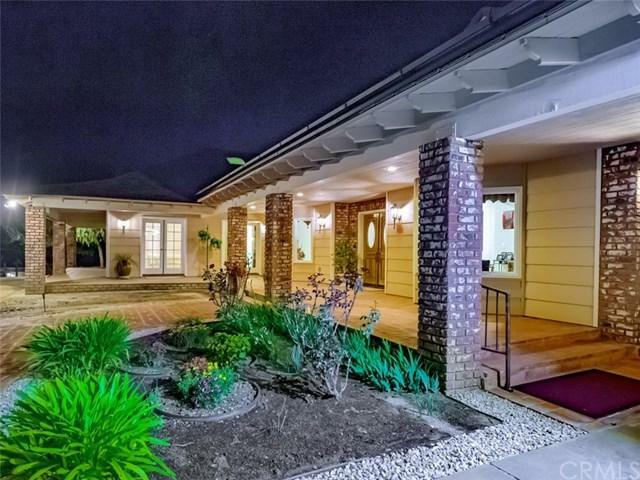 Enjoy your custom pool & spa w/pool house w/bathroom, could be 4th bedroom. Pool is solar heated too! Large 3 car garage with extra space for tractor or tools. Another wonderful loft above the garage which could be office or guest room. Lots of wonderful fruit trees + 700 vines, 45 fruit trees. Wine cellar w/cooling system. Too much to list with this beauty!